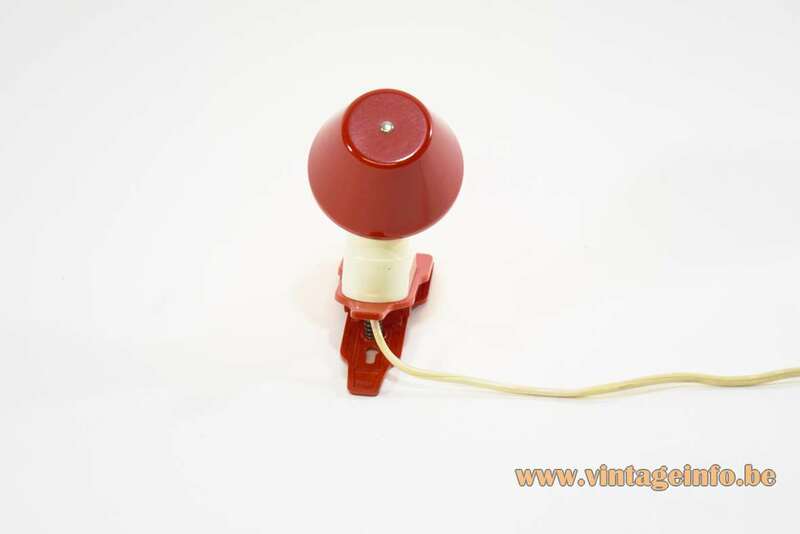 Materials: Red painted round aluminium lampshade, silver painted inside. Metal spring and bulb holder. 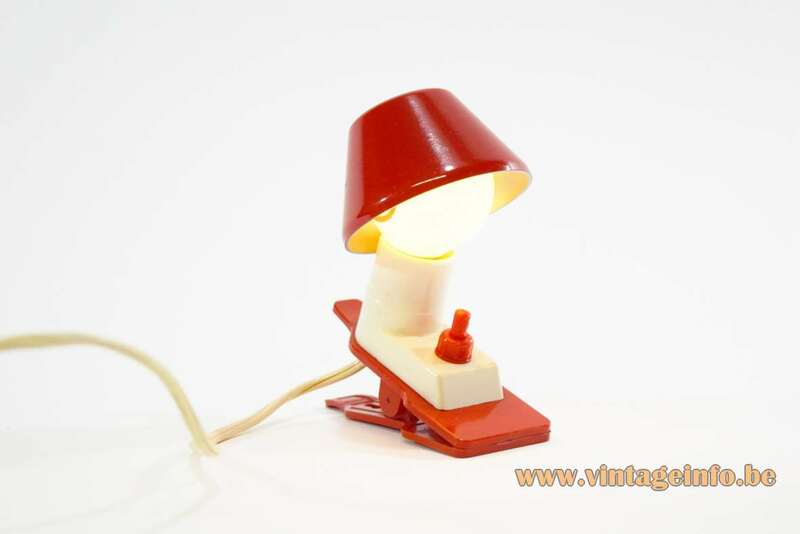 Red and white plastic. 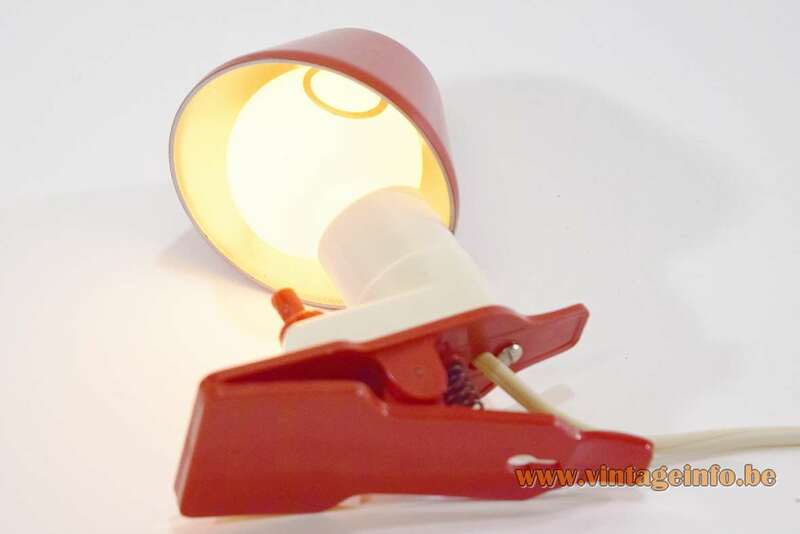 Not any type of light bulb can be used. A round small light bulb is necessary. Otherwise the lampshade won’t fit. 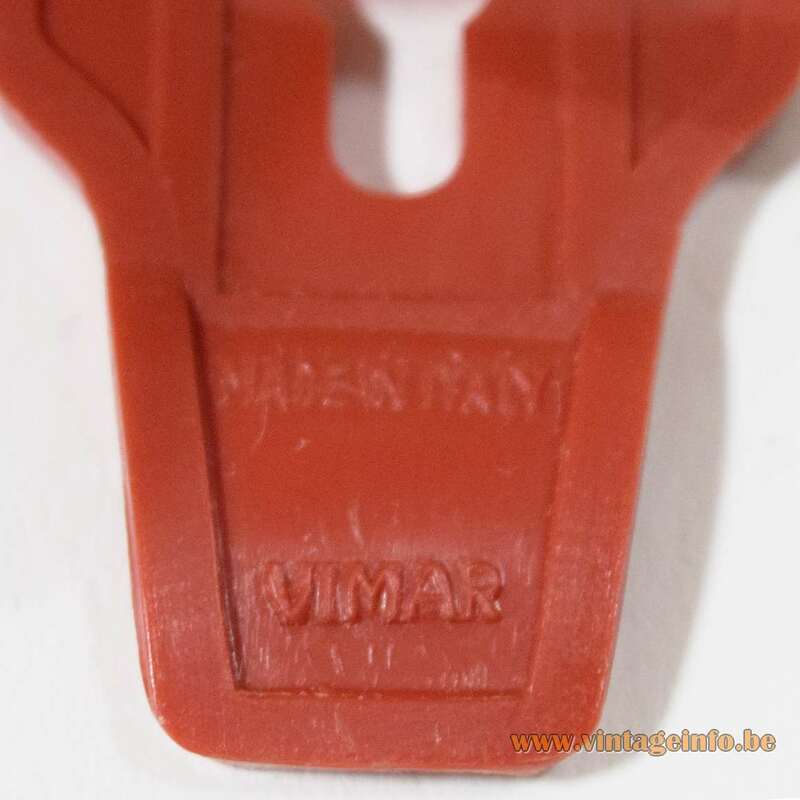 Manufacturer: Vimar SpA, Marostica, Italy. 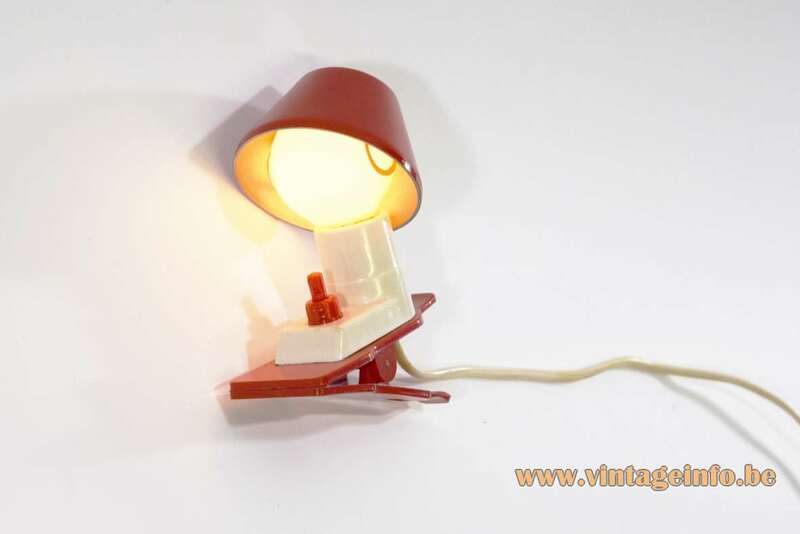 Other versions: Produced in several colours. 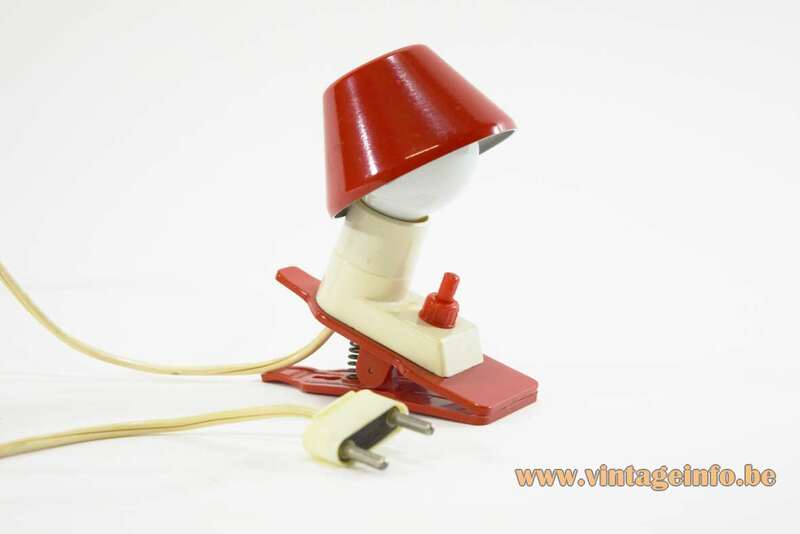 Clip-on lamps such as this one were made by several companies. 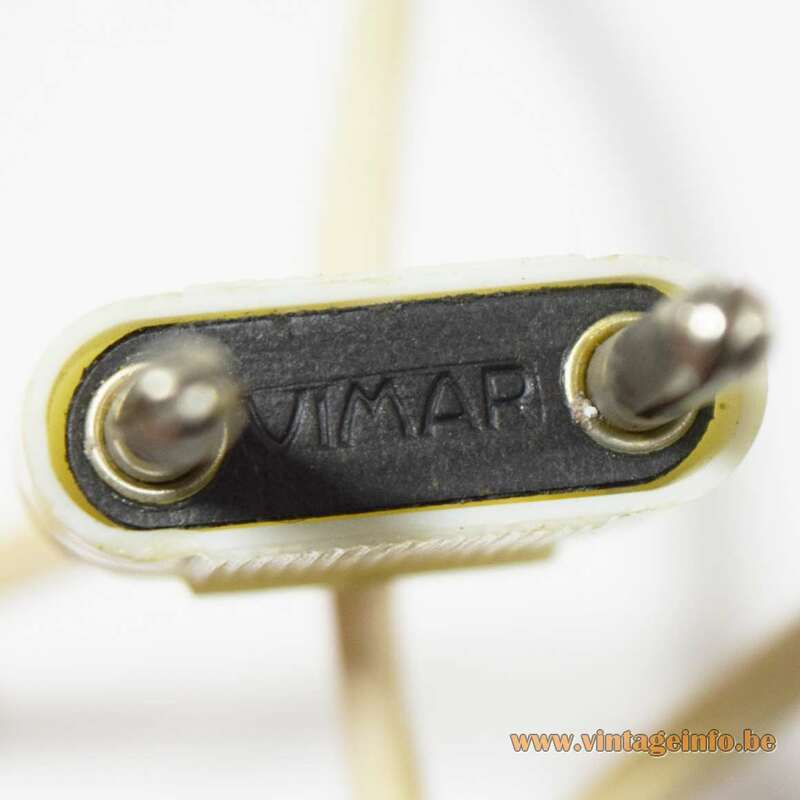 The Vimar name appears 3 times on this lamp: on the clamp itself, at the switch and also on the plug, as you can see below. 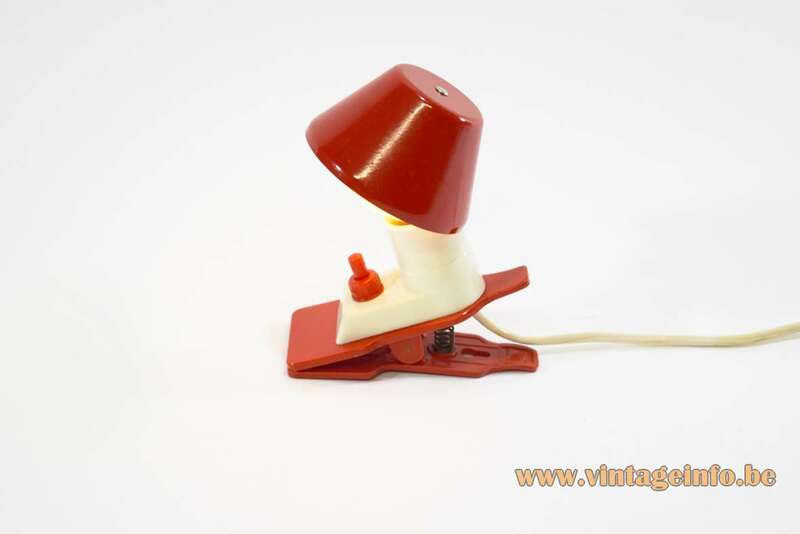 The Vimar logo on this lamp was used by the company in the 1960s and 1970s.